UCL Open Education looks to build on the success of UCL Press and the Open Access repository, UCL Discovery, to embed open education practices across the university. Our poster summarises the work done so far, plans for the following year, and the project’s goals and intended outcomes, including how openness/connectedness contributes to teaching and learning. Open Education centres on a commitment to provide access to high quality education and educational resources to anyone. This typically involves the creation and sharing of openly-licensed learning materials – open educational resources (OER) – that can be re-used and enhanced by the community. OER can include lesson plans, graphs, diagrams, and so on, and do not necessarily have to be full courses. 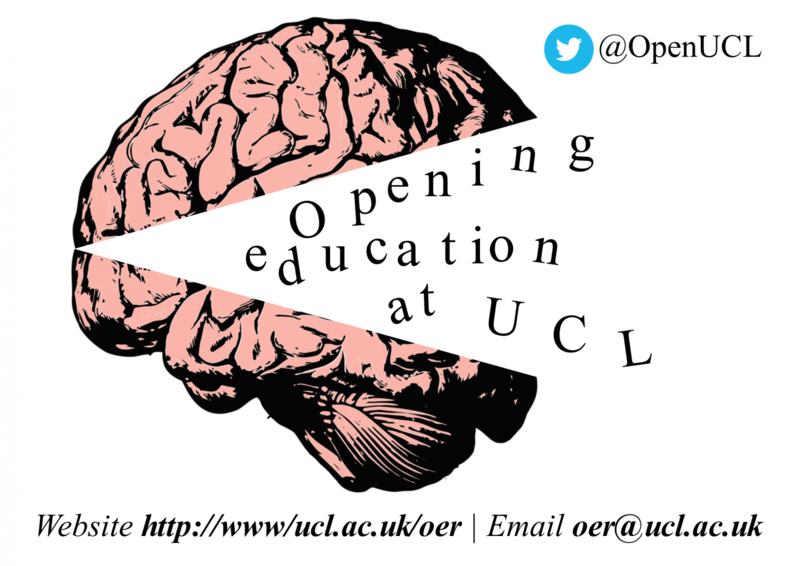 UCL, in building on its founding civic committment to “open education for all”, is exploring ways to embed open educational practices across the institution. Supporting staff and students to publish their teaching/learning materials, research, and data as OER, and includes the provision of information about open licences, open formats, and descriptive metadata. Establishing a repository for OER to underpin the publication of open teaching materials. Exploring and enhancing the interoperability of the OER repository system, so that it can interact with other open systems and databases. These activities aim to ensure usability, discoverability, and meaningfulness of content. The publication of OER through the repository infrastructure also allows for the continuation and enrichment of certain academic practices, such as showcasing examples of academic output, impact measurement, and quality assurance, and supports UCL’s Connected Curriculum strategy which seeks to promote collaboration across academic levels and disciplines and facilitate communication between academia and the public. It is our aim that embedding open practices at an institutional level into education will inspire new forms of teaching and learning on the open web. This work by C. Yogeswaran, Dr. Clive Young, and June Hedges is licensed under a Creative Commons Attribution 4.0 International License.